Here I'll List all those lost or missing on this day. Each person is someones loved one and I'm doing this because They need to be more than just statistics. 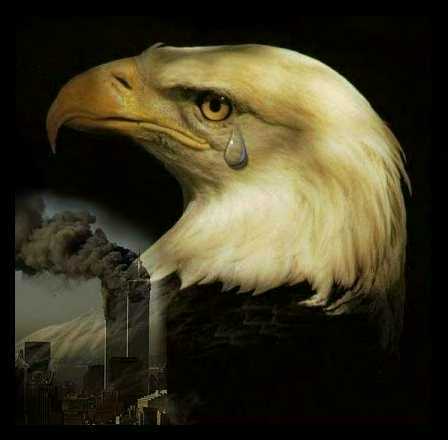 God Bless you all and all Americans share your grief. Profiles marked with * contain a picture. from Boston, Massachusetts, to Los Angeles, California, crashed into the north tower of the World Trade Center with 92 people on board. from Washington to Los Angeles, crashed into the Pentagon with 64 people aboard. from Boston, Massachusetts, to Los Angeles, California, was the second hijacked plane to strike the World Trade Center, plowing into the south tower. Two pilots, seven flight attendants and 56 passengers were on board. from Newark, New Jersey, to San Francisco, California, crashed in rural southwest Pennsylvania, with 45 people on board. Jack L. D'Ambrosi, 45, Woodcliff Lake, N.J.
Mary D'Antonio, 55, New York, N.Y.
Lt. Cmdr. Eric Allen Cranford, 32, Drexel, N.C. CONFIRMED DEAD. Includes those who have been confirmed dead by a coroner's office or the Defense Department. It also includes those for whom death certificates have been issued, even if no body has been recovered. REPORTED MISSING. People identified by family, official agencies or employers as missing.